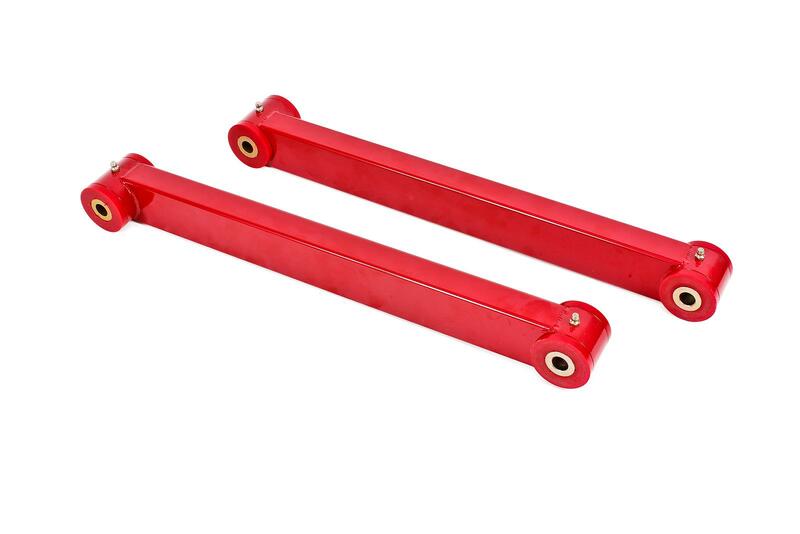 Reduce wheel hop, and increase the handling ability and traction of your 2005-2014 S197 Mustang with differential housing bushings from BMR Suspension. 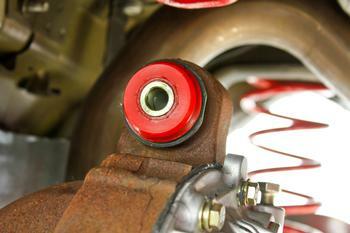 These bushing is how the upper control arm directly connects to the differential, making it crucial to a proper functioning rear suspension system. 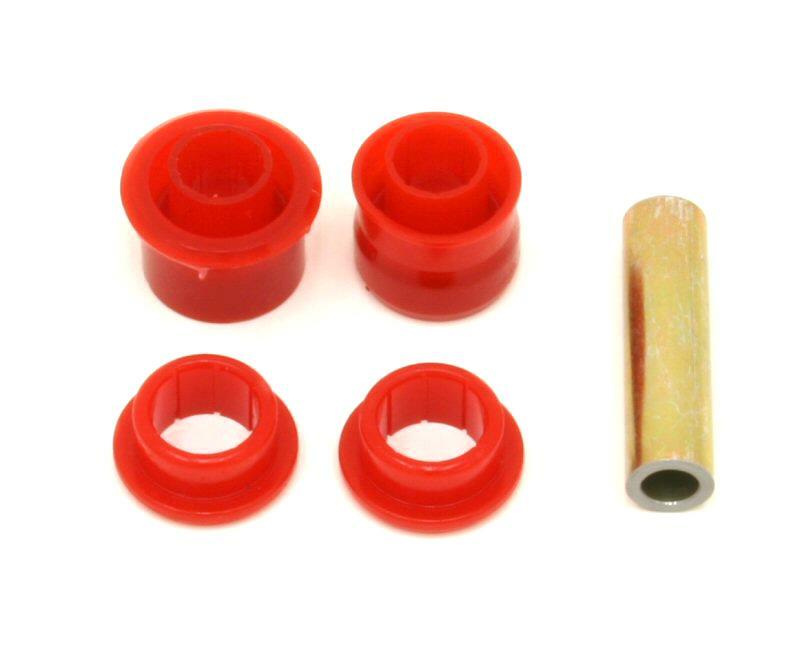 Manufactured from multiple durometer polyurethanes, BMR’s EN001 bushing kit can stand up to high compression loads, while remaining soft enough for suspension articulation. Each piece is made in a precision mold, ensuring every polyurethane bushing fits your S197 perfectly. 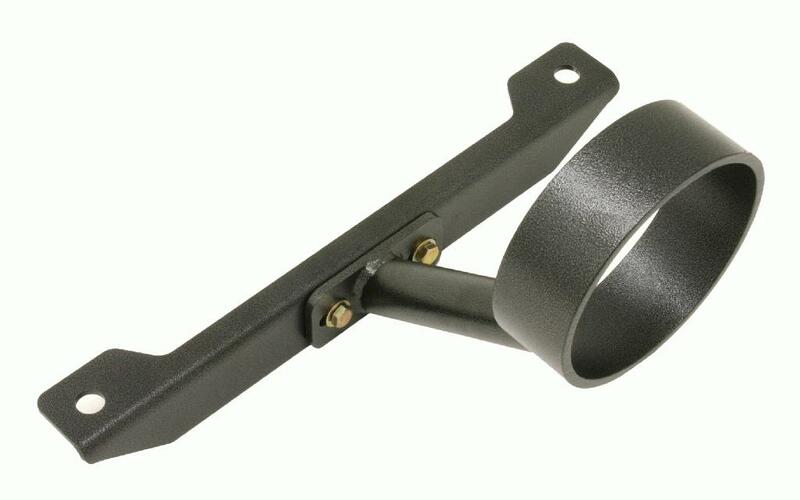 BMR’s zinc-coated steel inner sleeve resists corrosion for long life. 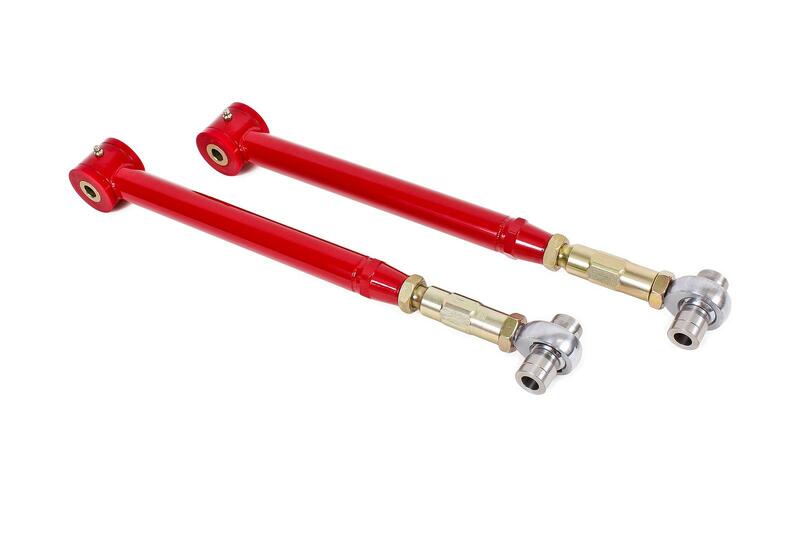 BMR Suspension’s EN001 kit is designed for street performance, autocross, drag race, and road race applications, or as a superior replacement bushing. This bushing is designed to stand up to the abuse of any performance environment, while still absorbing much of the vehicles NVH. The polyurethane bushing is internally fluted, which keeps grease in the bushing under high-load situations. The flutes also coat the inner sleeves and thrust surfaces ensuring flawless, quiet operation over the life of the bushing. 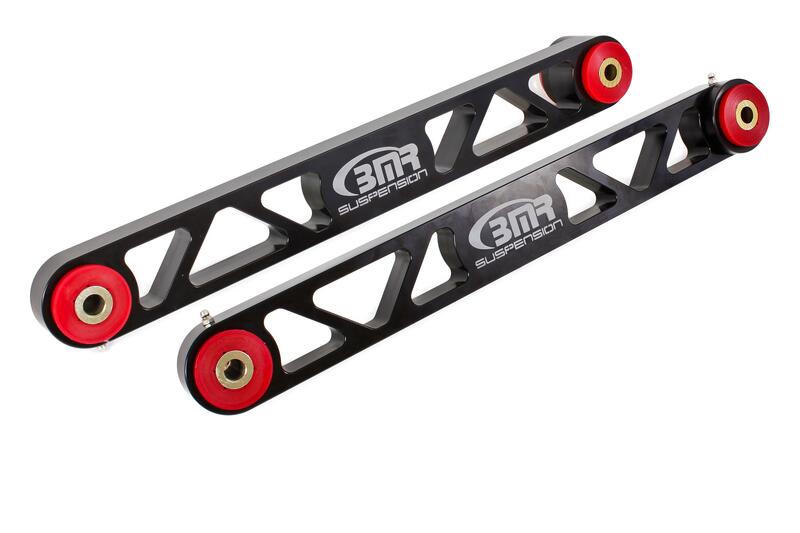 BMR’s EN001 differential bushing is engineered to handle the high compression loads of aggressive launches and hard acceleration, while offering plenty of articulation for great handling. 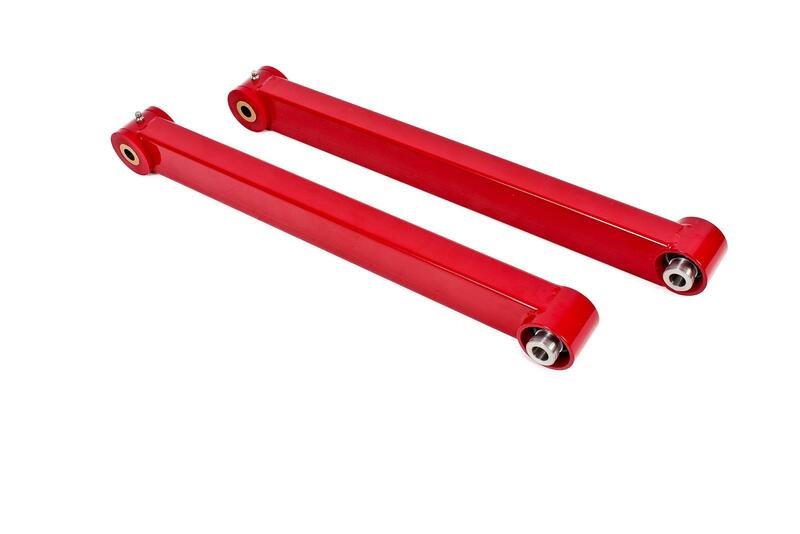 These are the perfect upgrade for any enthusiast looking for increased suspension performance with acceptable NVH levels. 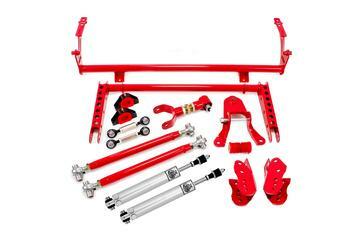 When performance is a must, rely on BMR Suspension! 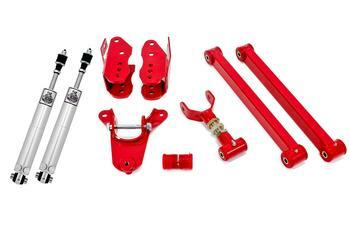 BMR Suspension’s EN001 Differential Busing Kit is available in red with zinc-coated hardware. 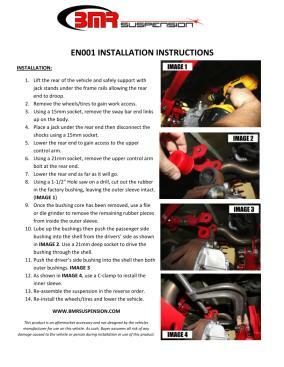 Installation time is about 2-4 hours. Proudly made in the U.S.A.!